I heard a lot of great things about this book, but I found it a bit disappointing. 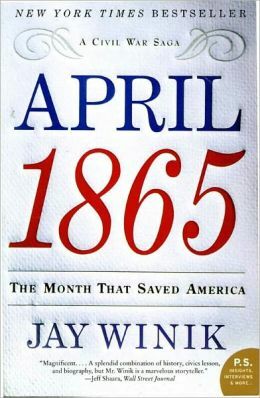 I thought the whole focus of the book would be about…well, April, 1865. But Winik was all over the place with his topics. It seemed as though he intially gathered information about just that month, discovered that it was not enough, and tacked on other tidbits about the war.